Sukkot is a time of joy on the Jewish calendar but at Jewish Social Services the holiday is tinged with grief. Last year during Sukkot beloved JSS caseworker, Mindy Wiseman, passed away. Mindy who had a long career serving senior adults never reached her senior years. An aggressive form of cancer ended her life days before her 61st birthday. JSS’s work of helping seniors live independently and make conscious choices about their end-of-life care honors her memory. Mindy was also an early visionary and strong advocate for JSS having a Jewish community chaplain. Mindy helped with JSS’s successful proposal to the Goodman Foundation for a three-year grant to establish the chaplaincy program. In Mindy’s honor, we hope to continue the chaplaincy program indefinitely. In addition to her dedication to serving others Mindy was a master gardener. 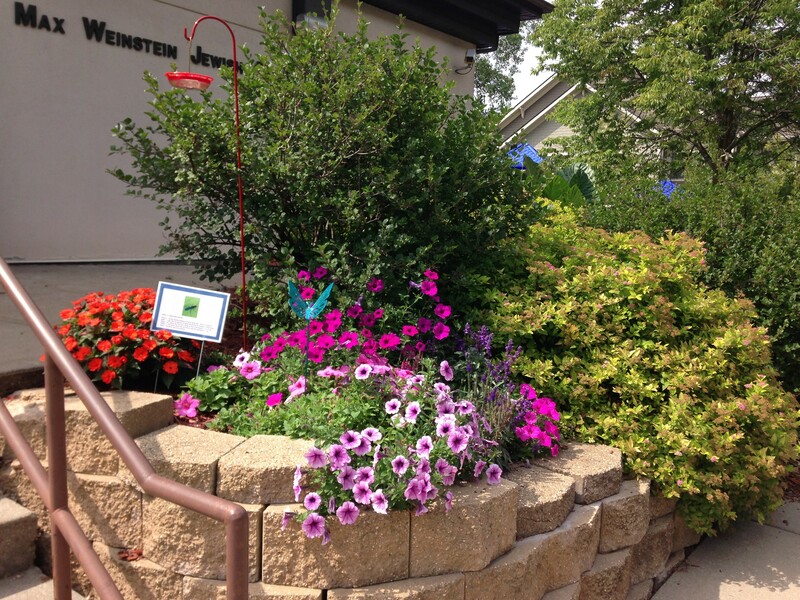 In memory of Mindy, Jim Mackman, executive assistant, has planted a garden in the front of the Max Weinstein Jewish Community Building. All spring and summer the flowers bloomed and the blue butterfly statue reminded us daily of Mindy’s spirit. As the garden begins to wither into the cold days of winter we grieve her loss once again. May Mindy’s memory always be for a blessing and may her family and loved ones be comforted among the mourners in Zion and throughout the world.